Wow. What a wedding this was. 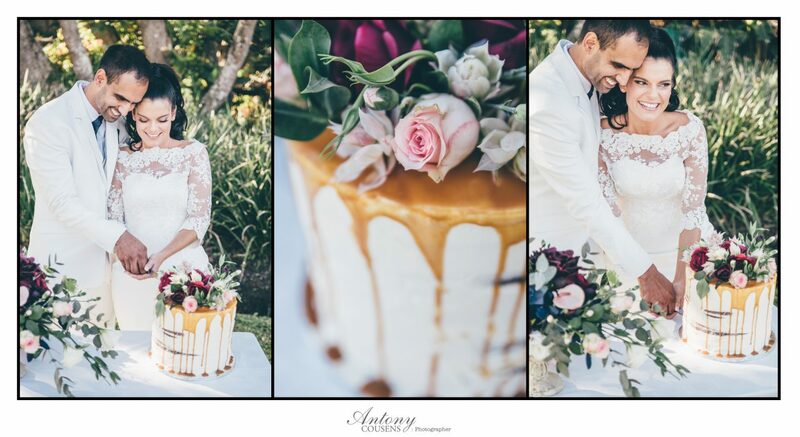 Celeste and Clint were married at Glen Afric Country Lodge on what turned out to be one of the luckiest weather days ever. It had rained for days before and rained for days after the wedding and all morning all sorts of old wives tales and superstitions for keeping the rain away were put into use. We had brooms in trees, things were being done with salt and prayers were said. Well, something worked and we had a wonderful ceremony under a beautiful tree with wildlife surrounding us and beautiful cloud formations giving us some drama to the sky. After the ceremony, the newly-weds and I went off to get some absolutely spectacular shots with some of Africa’s most majestic gentle giants. It was such a special experience for everyone, me none the least. The creative shoot finished just in time as it then began to rain, but only for a few minutes before the clouds broke up again and gave us an African sunset to remember. What an unforgettably special day with this lovely couple.